This rolls would be great to have either as a side or as an evening snack. • Rub oil on to the dough and keep it covered in the warm place for about 1-2hours. • The dough will be doubled in size; bring it on to the floured surface knead it for 4-5minutes and divide it into two parts. • Take one part of the dough and lightly dust the flour on to the rolling surface and roll it to 8”circle and spread the garlic mixture evenly on to the rolled surface and roll the circle and cut into 5-6pieces. • Make a similar roll with the other part of the dough. • Now grease a pan that can fit in all the bread rolls and place all the garlic rolls and brush the top with olive oil, cover and let it rest for 30-40minutes. • Now sprinkle some sesame seeds on top of the rolls and bake it in the pre-heated oven for 30-35minutes at 180degrees/ till the top of the rolls are golden. 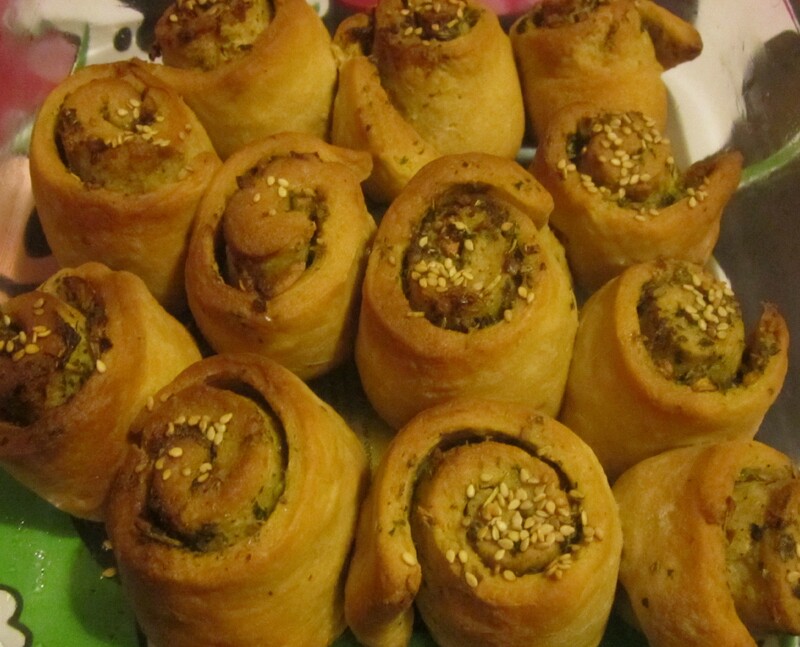 • Using of white flour instead of wheat flour makes the rolls still softer but adds some calories to your food. Posted on April 1, 2014, in Appetizers, International and tagged baking, drchdietfood, Wheat Garlic bread. Bookmark the permalink. Leave a comment.